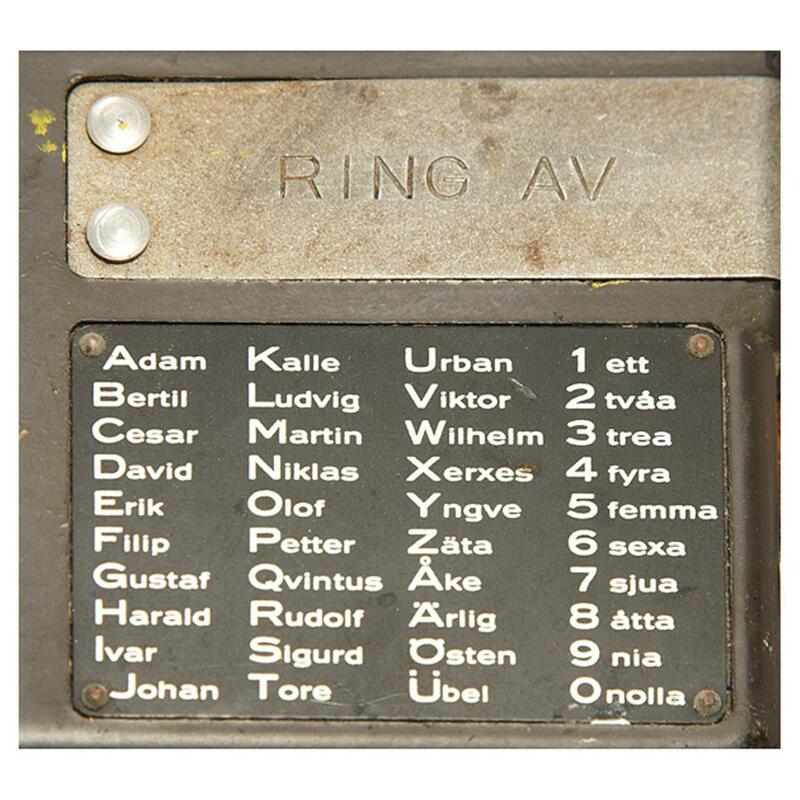 Hook up comms between your house and the shop or simply add a cool conversation piece to your military collection with this vintage 1950s-era Swedish Military Field Phone. Dimensions: 10" x3" x 6”h. Condition: Used, in like new condition. Swedish Military Surplus Field Phone, Like New is rated 4.3 out of 5 by 3. Rated 5 out of 5 by severo rivera from great phones, great service and great price. they are a great phones, work well. i bought two of them, one was defective but as always SPG Customer services was outstanding. i call them and explain the situation, they send me another one right away and it work great. the phones work very well and as far as i can see, they will work as far as you run the wires betwen them. the case is solid and it will protect them. yes , they came a little smelly and dirty, but ones you clean them up and connected them you are ready to go. not only o got them to used from the house to the shed but also for the military and Historical value. i Am Not Disappointed. thanks SPG. Rated 4 out of 5 by Sgt Survival from Ordered 2 of these I ordered 2 of these. Both worked, although the ringer on one is somewhat muffled. Will need to tear it apart to find the cause. Rated 4 out of 5 by spitfire from Works but condition was not quite like new I bought 2 of these to connect the house to the outside shop. Upon receipt I noticed that they were well used, 1 more than the other. Each had a name on it of the person responsible for it, which was neat and will keep in place. One of the phone cords is wearing thin at the 4 pronged connection point. The other had a well worn ear piece (not just from age). The box overall was in good condition. 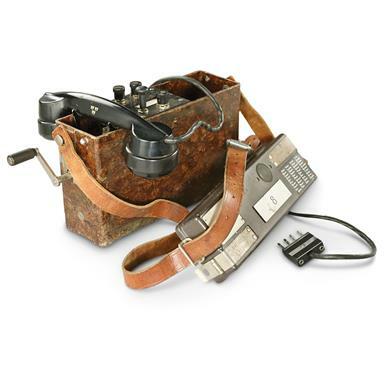 As for the contents, each had a hand crank and the hand-held phone. Only one came with a screwdriver. I used a piece of phone wire I purchased from SG to string them together to test them out. Watching a youtube video helped me get an idea of what to do. Once connected you can get a ring tone by cranking the handle. After installing batteries we were able to talk and hear each other. The sound was clear and was what I expected as far as quality from a field phone. The morse-code works as well. This was a relief as no other work needed to be done. I will probably buy 1 more just so I have parts or if one decides to stop working. Now all I have to do is wire it between the 2 buildings. I gave it 4 stars since it was not like new (in my opinion) but they work and it is a great conversation piece that we can actually use.